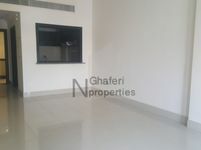 You can find all what you need in the displayed apartments for rent in Jumeirah Village Circle. A truly convenient living style that would fit anyone. The project of Jumeirah Village Circle, or as publicly known in Dubai as JVC, is an integrated residential community that sits in the center of the city. Given a radial pattern, the community is well connected to each other. It also features dazzling designs and house architecture inspired by modern themes along with traditional Arabic, Mediterranean, and Spanish themes. Residential units in JVC are clustered around a community center that has appealing set of amenities to offer very enjoyable leisure times for residents. It’s directly attached to Mohammed bin Zayed Road and Al Khail Road which make it quite accessible from anywhere around the city. Most of apartment buildings in the community are low and mid rise level, especially when compared with other districts like Barsha Heights, and other. Developed by Nakheel Properties, Jumeirah Village Circle promises high standard of living to all its residents that’s compatible with Dubai’s known benchmark. 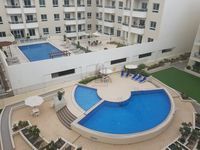 The project offers a wide range of apartment units varying between studios, one bedroom two bedroom, three bedroom, and four bedroom apartments. There are even bigger apartments to cater convenient ambience to big families. 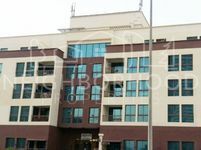 The apartments for rent in Jumeirah Village Circle are available as furnished and unfurnished. Many of the property searchers prefer unfurnished apartments as they provide carte blanche to its tenants to fit them out as they wish. The project itself bounds with a lot of restaurants and cafes so that residents don’t have to drive long ways in order to immerse in quality times with their friends or families. The project lies next to Dubai Sports City, this means that many of the city’s sports venues like Dubai Cricket Stadium are only a couple of minutes away. 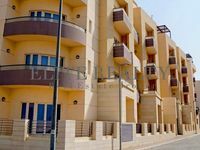 Renting a flat in Jumeirah Village Circle is very well facilitated by Just Property. The website teems with a lot of apartments varying between all specs and styles. Living in JVC means having a lot of schools and hospitals around, which is very convenient for families. The community has several popular buildings like Diamond Views, District 10, Seasons Community, and Fortunato. The majority of offered properties in these communities are apartments. JVC is a convenient affordable living destination uniquely designed by world class design houses. It has a big list of amenities that make it very attractive for all segments of residents including singles and families. Signing for tenancy in JVC is very simple. You just need to show some official papers like the personal identification card and visa. After that, the tenant is eligible to sign the papers and his submit his papers in Ejari system. The experienced set of real estate agencies on Just Property will show all needed assistance to back you up during the renting process. All you need is just choose your property and call our number.